Hello there! It is a very exciting day here at Visible Image as we launch our BRAND NEW stamps and stencils!!! As always, we strive to bring you exciting, different and unique stamp and stencil designs. Mark has designed an incredible inky hummingbird for this release, and a brilliant set of forest themed stamps you are going to adore! Anyone who loves creating clean and simple cards or art journaling will be excited by his new set of shapes and line art stamps! Helen has created 3 sets of inspiring, quirky and fun quote stamps, which have (of course!) been designed brilliantly by Mark using cutting edge fonts! In this release, Mark has brought some of our gorgeous stamps to life as stencils, and has created some incredible textures you are going to love creating with including 2 highly detailed stencils! Our stencils are so gorgeously thick, enabling you to create incredible texture on your mixed media projects! Do you want to be among the first to get your hands on these exciting new stamps and stencils? All available to pre-order now over in the April Release section of our store! Release date: Friday May 11th. Keep your eyes out for some fantastic cards and projects created with our new stamps and stencils over the coming weeks! Facebook group join in with the banter and enter our ‘Show & Tell’ challenge! Facebook PAGE give us a like and enter our weekly giveaways! Today I am sharing a bright 6×6 canvas that I created using a couple fun stamps from Visible Image! And a bit of Finnabair’s Impasto Paint. Products Used: Visible Image Keep Going & De-Stressed stamps, Finnabair Impasto Paint & Trinkets, Misc -Resin Heart, Waterproof Ink and Cardstock. I love this Verse Stamp! It was super easy to split up the quote to create a larger focal point. I hope that I have inspired you in some way! You will find more of Lanette’s fantastic projects over on her blog. Facebook group join in with the banter and enter our Monthly Challenges! GET READY.. our BLACK FRIDAY sale starts tomorrow, Thursday November 23rd! 40% OFF selected stamps! Limited stock! Not to be missed!! What do you have your eye on??? STARTS: 8pm UK / 12pm PST / 3pm EST / 7am Australia (24th).. ENDS Sunday..
Sharon Traynor will be here on the blog tomorrow with some gorgeous inspiration for our ‘make a tag’ challenge over in the Facebook group! Today is my weekly dose of design team inspiration for Visible Image and I have been working with some of their awesome older quote stamps. Today I have used the ‘Laugh Louder’ stamp..
For my card I made an inky background using the wrinkle free technique and stamped and embossed the words. Here is my finished card..
It’s a lovely inspirational stamp I really love this typeface. I hope I might have brought you all a smile today and wish you a good week ahead. We had a wonderful Saturday celebrating our granddaughter’s 4th birthday! Thanks so much for stopping by and for the lovely comments you take the time to leave me. Facebook group join in with the banter and enter our ‘Show & Tell’ competition and themed challenges! Thanks for visiting our blog today, and don’t forget to enter your cards and projects featuring our stamps and stencils into our Facebook group Show & Tell album for your chance to WIN a £25 coupon! And why not create a tag and enter it into the themed challenge too.. for a chance to WIN a massive £40 coupon!!! We will be back later this evening with fantastic inspiration from NEW Design Team member Heather Mitchell. Take a deep breath.. and smile. We are so sorry for neglecting our blog this past week, the only excuse we can offer is that it has been so incredibly busy with orders that there have not been enough hours in the day… which is the best excuse really isn’t it?! You’ll find more gorgeous projects over on Veerle’s blog. And, if you love Veerle’s projects, why not subscribe to her YouTube channel too! See how she creates those awesome watercolour backgrounds! Facebook group join in with the banter and enter our ‘Show & Tell’ competition and themed challenge! We will be back with more fantastic inspiration later this afternoon! We have some awesome NEW quote stamps launching in September… original quotes written by Helen, designed awesomely by Mark.. a real team effort! Tomorrow we will be sharing another special NEW collection called ‘We Are Family’… hope you’ll come back and check it out! to chat about our all new designs… and we have something very exciting to reveal too! Thanks for visiting our blog today, we hope you are loving our new stamps! Hi there! We are back with more stunning inspiration this evening here on the blog. Hello and welcome to another Thursday inspiration post from me for Visible Image. I have used stamps from three sets to decorate my gatefold card today. My background is Distress Inks, smooshed on a craft mat. I then splattered some water drops and blotted to create a faux bleach effect. Next, I stamped and embossed the sentiment, framing with the coffee ring stamp (embossed in white.) Finally I stamped and embossed the dragonflies, circling around. The outer panels began the same way, but I then stamped and embossed the ink splats ramdomly over them. Wow! Loving this… the outside is fabulous but then you open it up to discover something even more gorgeous! 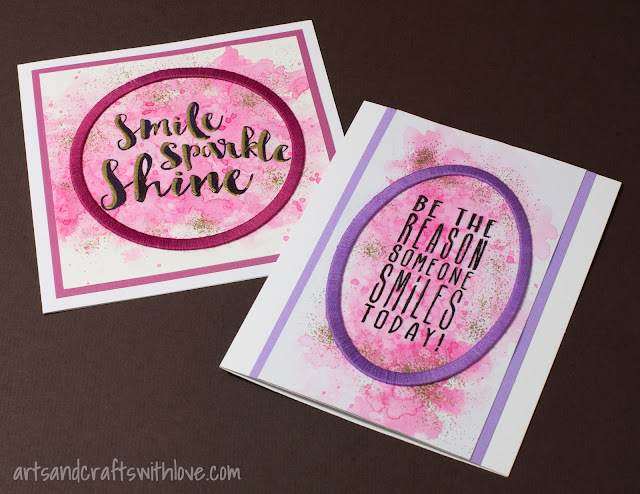 You’ll find more awesome cards and projects from Teresa over on her blog. Facebook group join in with the banter and enter our ‘Show & Tell’ Monthly Challenge! We will back tomorrow with something very colourful from Pauline! Thanks for visiting us today here on the Visible Image blog… don’t forget to join our Facebook group and show us what you have been creating with our stamps! Hello there! Thank you so much for visiting our blog today. I wanted the quote to be the main focus of the card, so I kept the other embellishments to minimum. 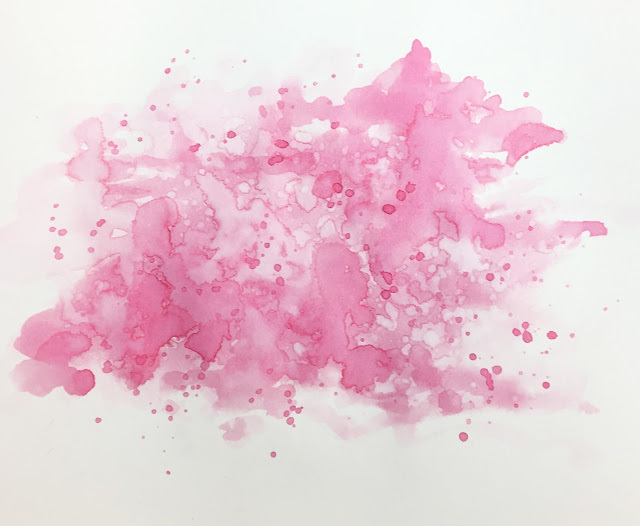 For the background I used soft pink liquid watercolor that I applied in several layers, drying each layer with my heat gun before applying the next layer of water and/or colour. Once the background was ready I stamped the quote. 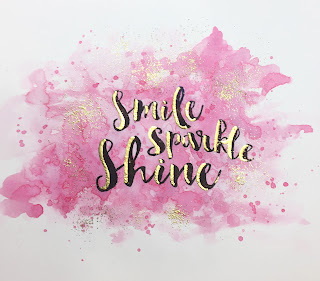 The ‘Smile Sparkle Shine’ text I created some highlights with an embossing pen, added gold embossing powder, and heat set the powder with my heat gun. Usually I decorate the watercoloured background with some pattern stamping, but this time I wanted to add more golden shimmer. I sprinkled a bit of the same embossing powder around the stamped quote, and heat set the powder by heating it from underneath. Blowing it from top would have blown the powder away as it was loose on the paper. 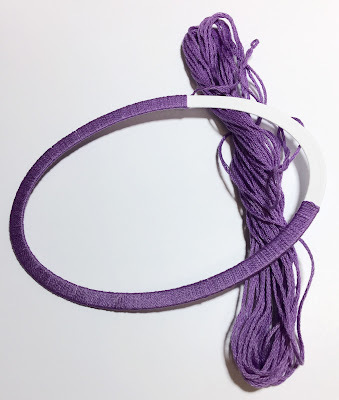 The only decoration element was a simple die-cut frame I covered with embroidery yarn. Wrapping the yarn around the paper frame took a while, but I just love the end result! Once the entire frame was covered I glued the frame on the card front. These cards were really simple and fun to make. Hope they inspire you, too! Wishing you a nice week. Thanks for stopping by! These are so fabulous Elina! Loving your background, and the gold looks gorgeous against the delicate pink ♡ Thank you! You can find more of Elina’s gorgeous cards and projects over on her blog. Hello! Good Morning, Afternoon or Evening, depending where you are in the world! We are so happy that our stamps are loved all around the world… with stockists in 12 countries now too! If you have a store and you want to stock our stamps, please get in touch! We have some exciting news to share too… Mark will be back on Create and Craft TV next month, and our fabulous Pauline will be joining him for not the usual one show but two live shows! That means double the demos!!! AND… there will be some BRAND NEW stamps making their debut too! We will let you know the date and times nearer the event. You may already know that we relaunched our themed challenge this month, you can enter over in our Facebook group. The theme is ‘Express Yourself’… making words the focal point of your project. Good Morning!! Today I chose to share one of our older sentiment stamps – I love the size and font of this one, and it’s positive vibe. First I created my background using Distress Oxide Inks, blended and spritzed with water. The sentiment was then stamped with Versamark and embossed with Gold embossing powder. Hope you enjoyed this project, and are inspired to dig out some of your older stamps and play!! We will back shortly with a fabulous card from Pauline Butcher.. well it is fabulous Friday after all! Hello! Thank you for coming to check out the latest inspiration here on our blog. So I had to pick out one of the sentiments/words… that’s a tough choice as I love the words so much. Curious what I made this time? I’ve made a new video so you can see how it was made. You will find more gorgeous projects over on Veerle’s blog. We hope you enjoyed Veerle’s video tutorial.. why not subscribe to her channel. Facebook group join in with the banter and enter our ‘Show & Tell’ competition & Monthly Challenge! We have stunning inspiration from Jane up next today! If you have missed any of our recent posts you will find them all HERE! Thank you for visiting our blog today. Hi there! We are back with more gorgeous inspiration here on the blog today as we share the latest Design Team projects with you. Nicky Gilburt has gone all cosmic on us..
and flicked splatters all over my cardstock to achieve that ‘galaxy’ effect. I allowed time for drying again and that’s when I started playing with my little stamps from the Believe in Unicorns set. The moon was a perfect choice, and the little starbursts just finished everything off. I love stamping and embossing in white. I tried out a new powder for this project, Nuvo Glacier White, and it gave me a perfect finish. ‘Express Yourself’ where you can enter a card or project using any of the many quotes that they have made so beautifully into stamps! We have a really beautiful project by Veerle coming up next on the blog. Thanks again for stopping by today. Hello there! Thank you for visiting our blog today! Nicky Gilburt is here with a gorgeous card created for our Create and Craft TV show on Saturday, and wow what a show that was! More on that soon! My card share this week is a simple affair, as the words need little to distract from them. If you saw Visible Image’s show on Create and Craft on Saturday 22nd April you will have seen an amazing array of quotes and inspirational words, and these are just some of those. The background from this card is simple two colours of distress ink applied with a blending tool onto card. I liked the deliberate contrast of the colours, but I was very pleased with the depth achieved by keeping a bit of light space around the blue. 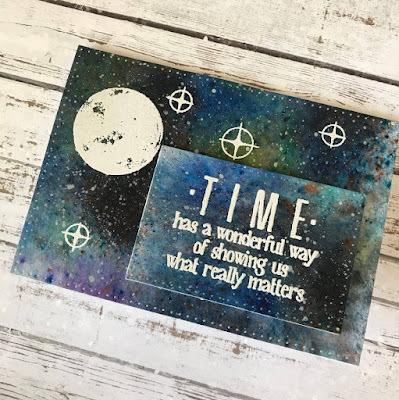 For the background stamping I used the fascinating Visometry set, which I must say intrigues me, and I will use this again, I love it! I stamped my key text in brown for a change, just to soften the effect rather than using harsh black, for once, and I stamped various shapes from the Visometry set in blue and brown, to complement the background colours. There are so many inspirational, motivational and comforting quotes to play with at Visible Image, you’ll find them all HERE! You can find more of Nicky’s fabulous cards and projects over on her blog. We have a beautiful project by Veerle coming up next on the blog, stay tuned! Get Up and Dress Up! Hello and thank you so much for coming to visit our blog today! It’s all about the words this weekend – and how to frame them. Another inspiring and fun quote from Visible Image, it pretty much speaks for itself! But here are three different ways I’ve set them out. I have mixed purples and blues in different ways, smooshed them around with water,left them to dry and then added stencils to create a bit of interest, Once completely dry ( use a heat gun to be sure!) I rubbed an anti-static bag over the area then stamped with Versamark, and applied white embossing powder and melted it with a heat gun. The stars come from the very popular Born to Perform set. I slightly dampened my base card before applying distress crayon and rubbing with my finger. A bit of text, heat embossed with black powder, and a few flowers from the Create It!set, not forgetting a couple of sequins to finish! I totally love these pens. They are the Tonic Studios Nuvo brand, and here I have laid down thick swathes of colour, allowed to dry and stamped the text over it. Again, heat embossing in white makes the words really stand out! There are so many inspirational, motivational and comforting quotes to play at Visible Image! We have a stunning tag by Veerle coming up next on the blog! Hello! Good Morning, Afternoon or Evening! It’s the very busy Crafting at Ally Pally show this weekend so there has been so much to do! Today we will hopefully be sharing 3 more projects with you here on the blog. Gosh another week has gone, is it me, or does each year seem to go faster than the last, lol !!!! It’s time for me to share one of my Visible Image creations with you. 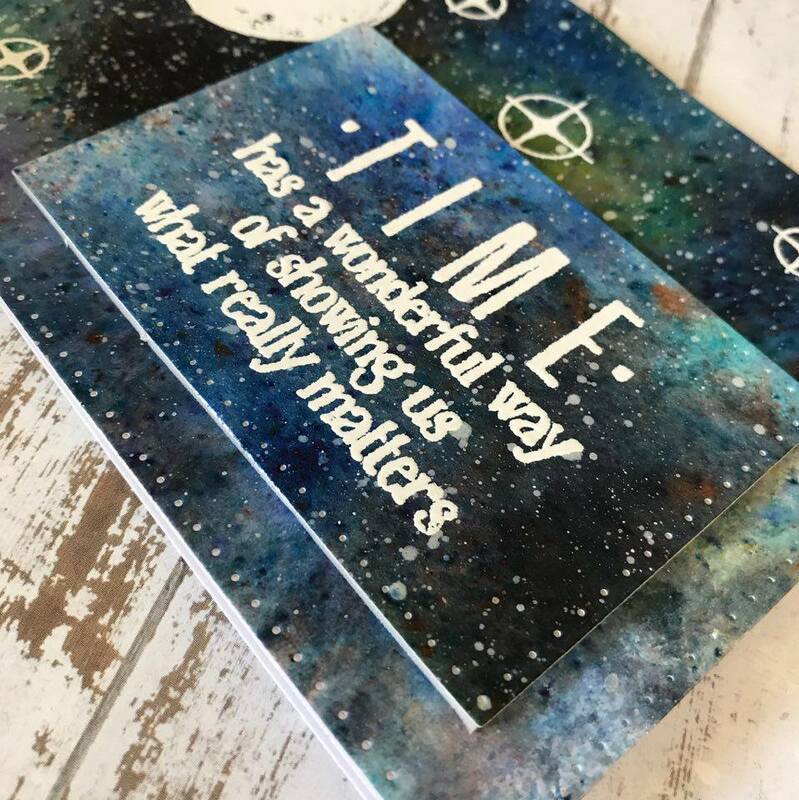 just make sure it is totally dry before stamping using Versamark, then heat emboss using White Embossing Powder, and of course the stamps are from the fantastic Stay Wild set. What a stunner! Loving that background for the white horses ♡ Thanks Pauline! to our business, stopping manufacturing the stamps ourselves, but it turned out to be the best decision ever! It has really allowed us to evolve and grow. 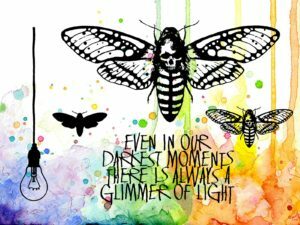 We have a stunning tag by Veerle coming up next, featuring one of our awesome new quotes! Good Morning! (Or maybe it’s afternoon or evening where you are!). We have another day packed full of inspirational blog posts as we continue to share all the latest creations from our amazing Design Team, and wow have they been creating some awesome stuff! Look at the beautiful quote, and the beautiful word SHINE which were added to this set when it had a makeover earlier this year. Now… curious what I made? And you will find more gorgeous projects over on Veerle’s blog. 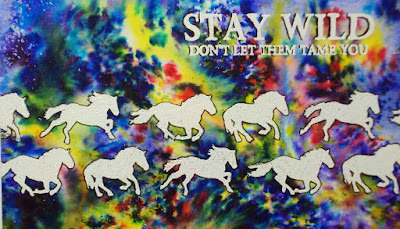 Next up on the blog we have an awesome card created by Teresa with our Stay Wild set! Hello! We hope you have enjoyed seeing all the latest inspiration our amazing team have been creating with our NEW stamps! 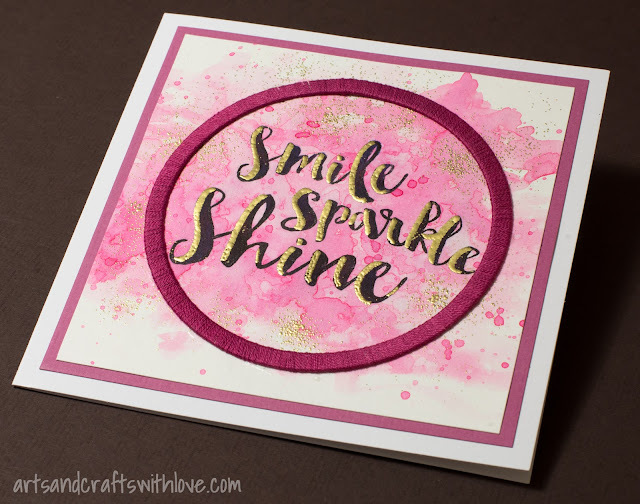 This final post is sharing a few of the incredible cards created with our NEW Shining Bright stamp set. Just look at the clever designing by Mark… LOVE the rays of light over the word SHINE and the lightbulbs are awesome! The quote is so inspiring and the words mean so much to us.. especially at the moment! 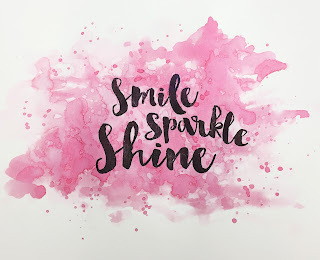 Created by Teresa Morgan: the background was created with brushos and distress inks. using darker and darker shades to build up the depth. and cutting out the lightbulb on spare card. Then, once I’d coloured it, I coated it with Versamark and got melty! These stamps are flying out the door… thank you so much for loving them! Wow! Well we hope you have enjoyed all the amazing inspiration we have shared here on our blog this weekend. 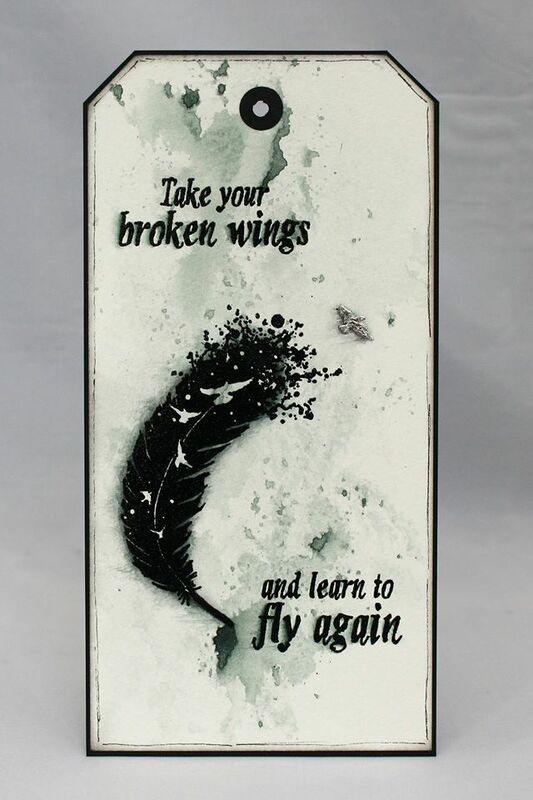 Mark will be on Create and Craft TV next Saturday, March 4th at 10am with some of our fantastic new designs!